Glenys joined Zonta Club of South Auckland in 1979 when she and her husband were Dairy Farming in the Hunua District and the Club meetings were held at a Motor Lodge near the Monument at Otahuhu. 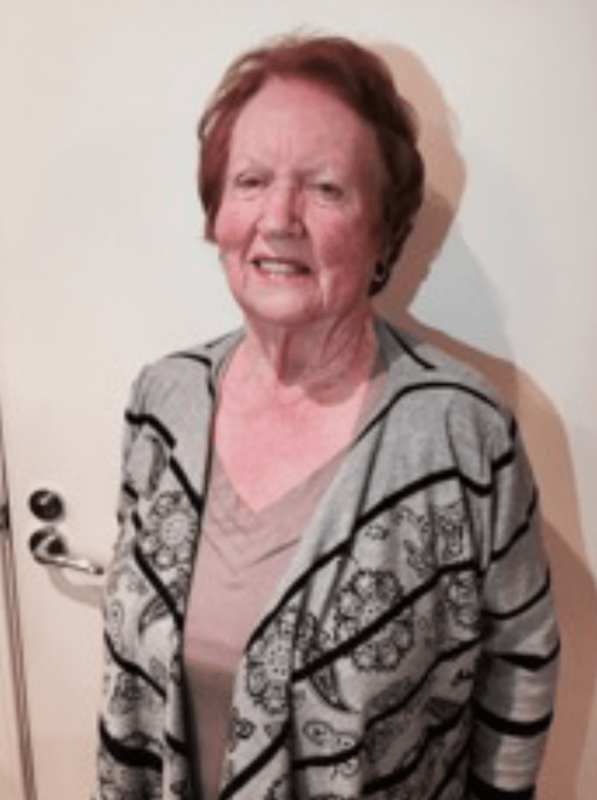 Glenys particularly enjoyed the times the whole membership worked together on Service and International projects – to name a few, Fashion Parades, Garage Sales, Book Fair, Indian Dinner, Garden Parties, and other projects. In the early 1980’s one of the projects was to put money aside and establish a Study Award for mature women residing in the South Auckland Area to enable them to further their studies or take up a new challenge. This meant selling Car Raffle tickets at the Otara Shopping Centre on a Friday and the Otara Markets on Saturday mornings. The Award was first presented in 1983. Glenys was President in 1984-1986 and served on the Board on several other occasions as Secretary (twice) and convener of various committees. She served on the SOM committee in the establishment of two new Zonta Clubs – East Auckland 1987 and Thames Valley 1992. It was very pleasing to see these two Clubs prosper and grow over the years. Glenys offered her home for various club activities in the earlier times mainly for Christmas Parties and January barbeques. In 1989 the District Conference was held in Auckland – a Committee was formed from Club members from all the Auckland Clubs. Glenys represented her club and met regularly to make arrangements for the Conference enjoying the fellowship of other Club members. Prior to 1989/90 Australia and New Zealand were one District. At this Conference the decision was made to split the District into two Districts – Australia and New Zealand. New Zealand kept the title District 16 in recognition of the Auckland Club being the first Chartered Club in the District. Australia became District 23. A Combined Service Clubs Dinner was held annually in the South Auckland Area and the Club took its turn. Glenys served on that Committee several times over the years. These evenings were very pleasant – meeting members from other similar clubs and hearing about the beneficial projects happening in the area. Over the years Glenys attended several District Conferences and Area Forums.and enjoyed her years in the Zonta Club. She noticed that in more recent years there has been a change in direction for the Club with more emphasis on Advocacy. “As I have been living in Auckland since 2002 I am now finding it challenging travelling the Southern Motorway at peak times to attend Club meetings so feel I must offer my resignation next year. I wish to Club every success in years to come,” said Glenys.